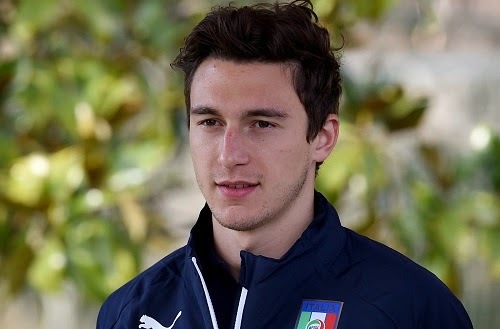 Arsenal interest in Torino’s Darmian The Turin based newspaper Tuttosport has revealed the interest from Premier League side Arsenal for Torino defender Matteo Darmian. The Turin based newspaper Tuttosport has confirmed the interest from Premier League side Arsenal for Torino defender Matteo Darmian. Serie A star defender Matteo Darmian who scored a goal against Juventus few days ago has now been eyed by several top European sides including the North London outfit. The 25-year-old has attracted Arsenal boss Arsene Wenger after his impressive displays in the past few months. Darmian is a regular player for the Italian side, he has made 28 appearances in the league so far this season. French boss Arsene Wenger is already in search for a defender as several of their current defenders are expected to leave this summer. Either Nacho Monreal or Kieran Gibbs could leave along with German Per Mertesacker at the end of the season. Arsenal signed Gabriel Paulista in the winter window and are still keeping eyes on several center-backs. Darmian is a versatile player can be used in variety of defensive and midfield positions. The reports have also revealed that La Liga giants Barcelona and Bundesliga champions Bayern Munich are also interested in his move. The Italian who has 11 caps to his name would cost around 15 million pounds.